Ailsby Collection: “Combat Sacrifice” Badge of Honour. “Combat Sacrifice” Badge of Honour. “Combat Sacrifice” Badge of Honour" Badge - Reverse. In commemoration of the 10th anniversary of the foundation of the N.S.B. 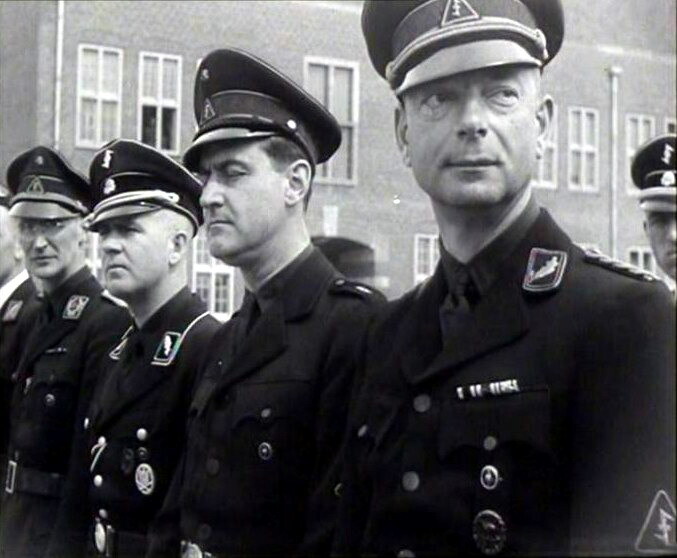 , Mussert instituted in December 1941, a Dutch equivalent of the German “Blood Order” to reward Party members who had “made personal or material sacrifices on behalf of the N.S.B.”. the badge is 22mm in diameter. in the center , in coloured enamel, is the N.S.B. 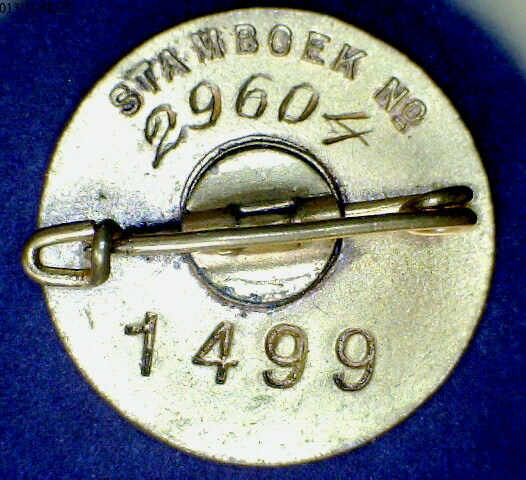 membership badge above a gilt “Wolf hook”, the background is black. On the surround, which is gilt, is “Strijd Offer” – Combat Sacrifice – above a semi-circle of oak leaves. The whole badge is finely executed in coloured enamel. It was necessary to have been a member of the N.S.B. for at least five years before an award of this badge could be made. It could be worn either on the left lapel of civilian clothes or on the left breast pocket of the uniform. 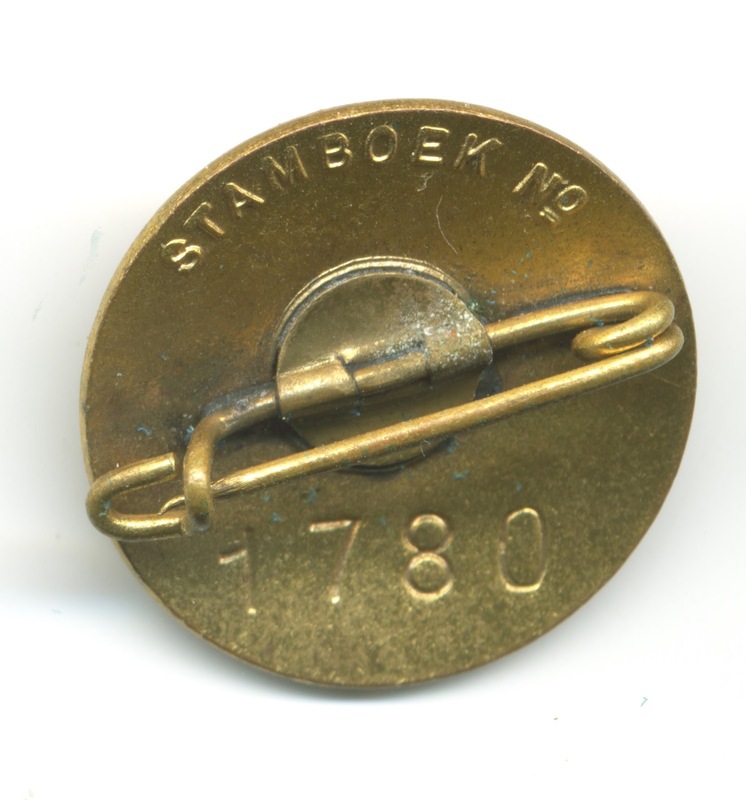 The reverse of the badge is numbered with both an individual badge number and the “Stamboek” number of the recipient. In some cases only the badge number is applied. “Combat Sacrifice” Badge of Honour- Citation. “Combat Sacrifice” Badge of Honour in wear. 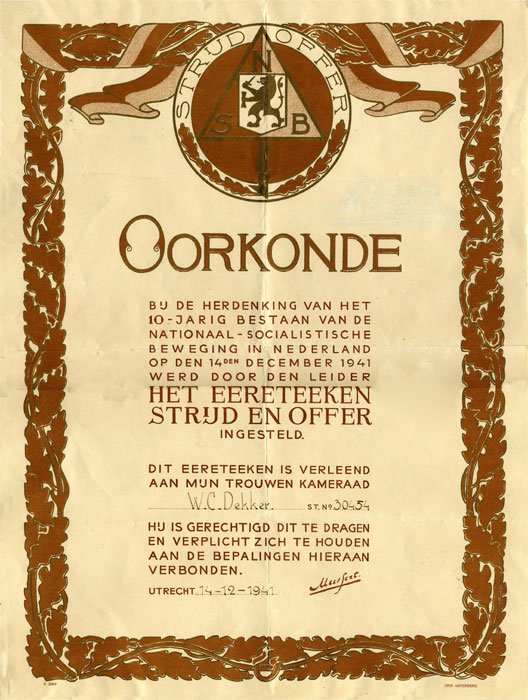 Badge of Honour of the “Jeugdstorm”. Combat Sacrifice Badge of Honour Plaque. “Jeugdstorm” Sports Badge for Females. NSB Five Years Service Badge. 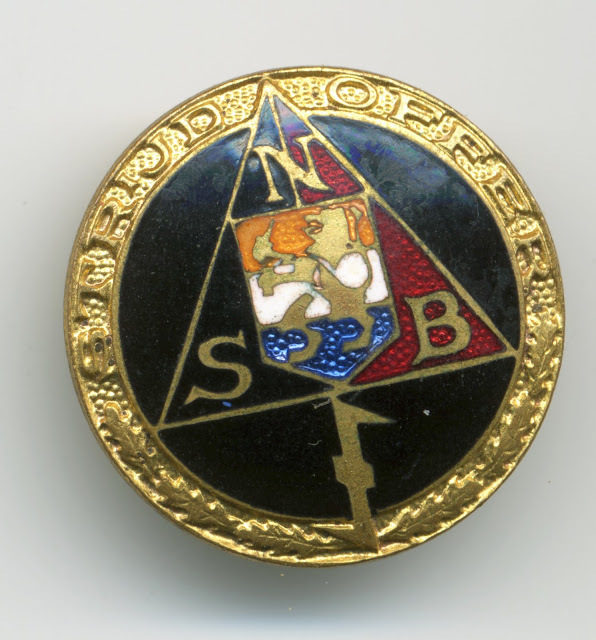 NSB Ten Years Service Badge.